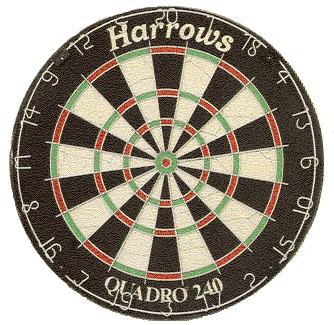 Harrows Quadro 240 Dartboard featured a Quadruple scoring segment situated between the treble ring and Bullseye making it possible to accomplish a 7 dart 501 match with 5 x Quad 20’s, Treble 17, Bullseye. 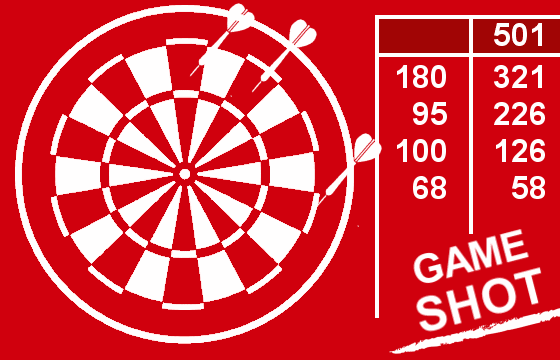 The game is played in the same way as a standard clock dartboard, 501 games. Straight start double finish but the addition of the quad scoring area gives the players more options. It would have been a nightmare for the referee/caller who would have to announce if the player had a possible finish. Most dart players can recite the finishes on a standard dartboard but adding the complexity of a quad ring makes this a lot more difficult. The board did make it's way to competitions and you can still see old footage on YouTube. Here is a link featuring Jocky Wilson scoring the maximum 240! YouTube . You will see players John Lowe and Jocky Wilson keep to the traditional scoring areas for most of the match rarely using the quad option. I wonder if this would change today? Sadly the dartboard is no longer made. Two distinctive dartboards are the Lincoln and the Black Irish Dartboards. Both entirely Black in colour and are designed along the same lines as the Yorkshire dartboard featuring only a double ring and centre Bullseye. These two dartboards, however, are different and from a casual glance, you would be forgiven for not recognizing the difference. A standard dartboard playing surface dia. is 13 ¼“ as per the Yorkshire dartboard and indeed the Black Irish however the Lincoln or Lincolnshire Dartboard is slightly bigger. 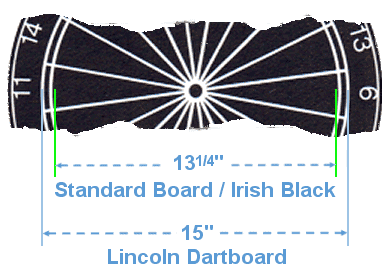 The Lincoln dartboards playing surface diameter is 15” and the double size is 1/8" (3.2mm). I haven’t as yet established why the Lincolnshire was made this way and some reproductions of this board contribute to the confusion by incorrectly naming a Black Irish with the name 'Lincoln' when it truely isn't. I refer this to a ‘Hockey’ / ‘Oche’ moment i.e. missed in translation when new word sticks because it was misheard or misinterpreted. 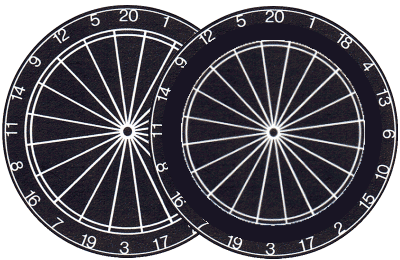 Both dartboards regardless of size have the same playing rules. There is no difference in the standard #01 games. More regional dartboard setup details can be found here. My thanks to John Lowe, Yorkshire Darts and Lincoln District Darts Leagues for the information they have provided. Although the Yorkshire dartboard can still be easily be found, the Kent doubles is a little rarer. However, I believe leagues still exist. The origins of the Kent Doubles stem from the Yorkshire Dartboard. 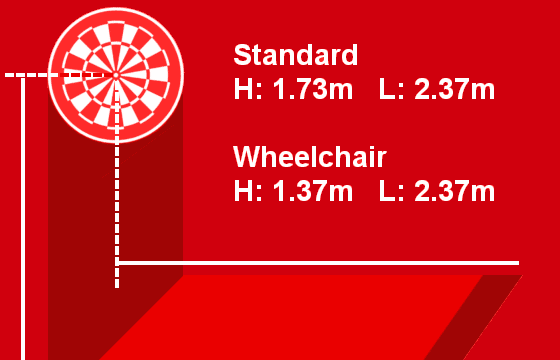 Basically, both dartboards are the same size although some references say the original Kent dartboard size was bigger than the Yorkshire dartboard. If, however, the Yorkshire miners first brought the dartboard to the Kent Region, I would suggest it is / was the same size. Both dartboards only feature single, doubles and a centre bullseye, not an outer bull as you see on a London Clock or as some call it the standard dartboard. Traditionally the Yorkshire, Irish Black and Kent also referred to as the Kent Doubles dartboard were made from elm/poplar wood. The County of Kent gained its’s own doubles board when the miners from Yorkshire took their dartboard to the Kent coalfields. 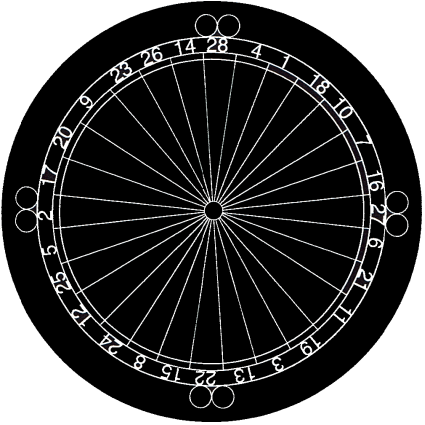 Players of the Manchester log-end dartboard would know the numbering system was hammered into the board, not much of an issue for a Manchester dartboard because the game is unique and not concentrated on one main high-level scoring section. This is not true of the Yorkshire or Kent board so the boards were manufactured without any numbers. The dartboard was then nestled inside a number ring. This allowed the board to be turned so it had even wear. Yorkshire dartboard and London clock dartboards today have a removable number ring allowing you to reposition the numbers after you have turned it. The illustration shows the traditional Kent board without numbers nestled in a fixed number ring. I believe some still survive while some Kent leagues now use a Yorkshire dartboard. The rules for Kent (Doubles) Dartboard are the same as the Yorkshire Dartboard. The Grimsby Dartboard is unique in a few ways. Firstly, it has 28 scoring segments a bull and a doubles ring. In addition and external to the main scoring area are four sets of dual rings situated at the north, east, south, west pole position. The rules for this board I have been unable to find, however, it is likely the dual ring may have been used to start and finish a game. i.e. hit one of the target areas to start and or finish. The rings, of course, could have been used for other dart games and these could have been used as a forerunner of the game loop / loopy (see standard dartboard games). The board was made c 1880 and there is photo evidence showing the board in 1890. The board would have been made from elm and soaked to make the board into a playable condition. 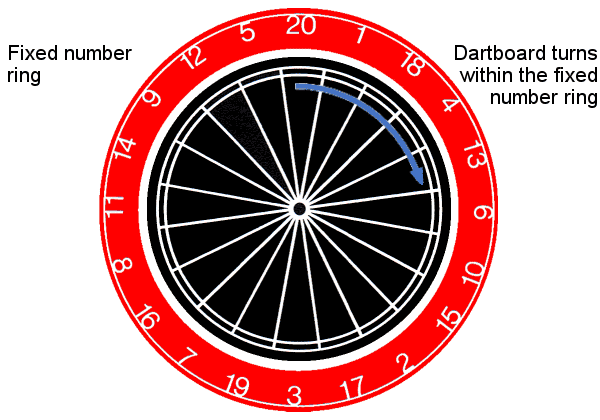 The Staffordshire or Burton Dartboard as it is sometimes called is again a variation on the Yorkshire dartboard. It has a double ring and single bullseye but no treble ring. 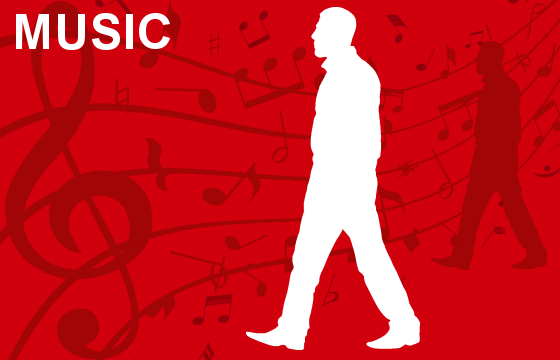 It also features outside the double ring two additional red square scoring areas situated on the left between the 14 and 9 and on the right and between the 4 and 13. The scoring areas were worth 25 points however although you could score on them you could finish on them. The squares looked like diamonds because of the angle they were placed. This dartboard is sadly no longer made. The Tunbridge dartboard that used to be used in the Kent had the same numbering system as the standard clock dartboard. The board had a single bullseye but no outer bullseye. Inside each scoring number adjacent to the outer ring featured a small triangle. This triangle area scored double while the outer ring scored treble. There have been many fun dartboards produced over the years. Notably the Card Dartboard being one of the most popular. The combination of darts, cards and betting have always been closely linked. However it isn’t unusual to see many popular sports being made into dartboard games: Golf, Baseball and Snooker are just a few. All of these boards are produced for fun dart games and rarely will you see a serious dart player playing on one. The kid’s entry dartboard is made from coiled paper. The centre Bullseye being made from a wooden dowel. The dartboard is made two sided unlike the Bristle boards we generally use. 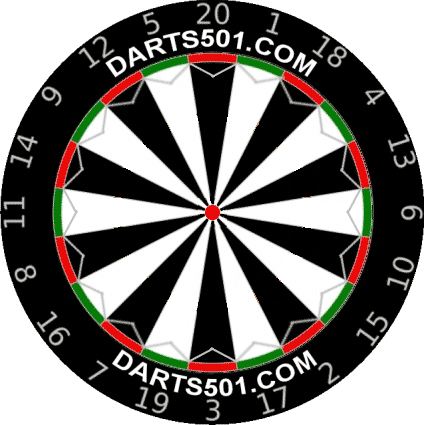 The main board is a standard clock dartboard and the reverse a straight target board. Decreasing circles form a 1 -10 target area rather like an archery target. 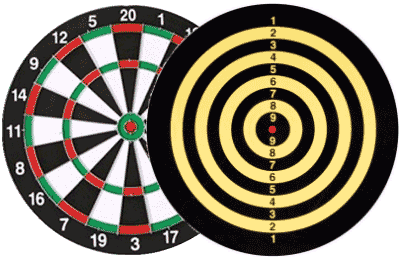 The smallest circle, the bullseye, is awarded 10 points the far most ring 1. A basic game on who can score the most in a given amount of throws and basically where it all began the Target board. Paperboards don’t last and in a short period of time they will be heading for the bin however they do have their place as the starter dartboard for the next budding World Champion. 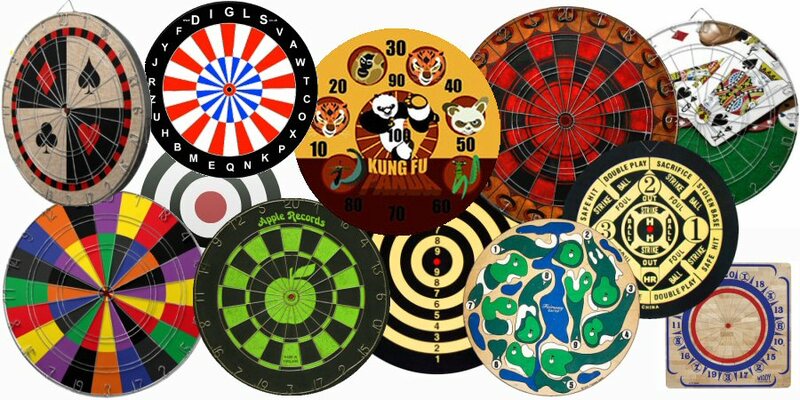 Hundreds of different dartboards have been made over the years, however, only some survive today. 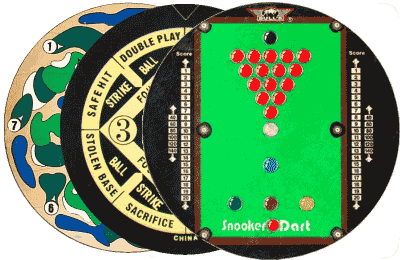 Most boards now are a variation on the London clock dartboard well others have connections to other games such as baseball, golf, snooker, cards and even word games! It is now possible to obtain a dartboard with your own illustration on it so the opportunity to bring some of the old style dartboards back is always there. Funfair dartboards have had their own styles. Many just designed to set a target for the punter. These varied in size, style and target area. 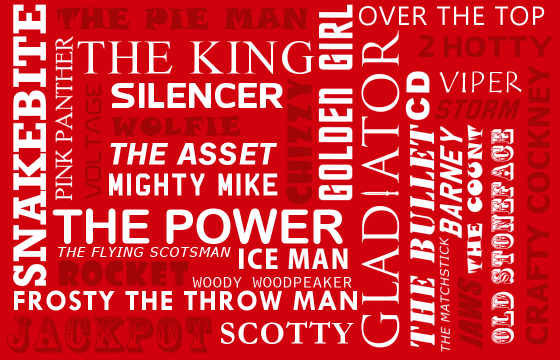 Below are just a small handful of the many that have been made over the years.